It Represents The Wise Choice of Many Alternatives. JP's Custom Painting: Interior and exterior painting and remodeling in the greater Bend, OR area. Whether you are changing the look of your entire space or just touching up your property, you want your interior and exterior walls to make a bold statement. While do-it-yourself painting jobs may look like a fun option at first, there are definite advantages to hiring a professional painter for the job. JP's Custom Painting has a crew of licensed contractors with many years of experience in the carpentry and painting trades. For over 30 years now, we've been a locally owned, operated and licensed painting contractor providing our high-quality services for commercial and residential properties in Bend, Oregon and the surrounding areas. Don't allow your paint job to drag on for days or even weeks - hire JP's Custom Painting as soon as possible. We can usually finish the job in a day or two depending on the amount of work involved. We are committed to getting the job done right the first time so you can enjoy a gorgeous home or business. 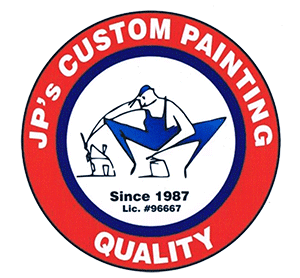 Improve your property's appearance and value by hiring JP's Custom Painting. Call 541-385-5934 today and receive a two-year warranty! JP's Custom Painting is a trusted residential painting company serving Central Oregon & surrounding Oregon cities. We're passionate about delivering an outstanding residential interior or exterior painting job that will last for years. Increase the value of your home with our unrivaled residential painting services. Whether it's your home's interior, exterior, or both, we get the job done exactly to your liking. We make your house painting experience hassle-free. You can expect us to be respectful of your home, while providing the best service you will find in the area. Our staff is knowledgeable, friendly, and will be there to answer every question you have along the way to make sure you are 100% satisfied. When it comes to painting contractors in Central Oregon & surrounding Oregon cities, we know you have a choice. Our customers choose us time and time again as their painting company because of the great quality of work, excellent service, and years of experience. Contact JPs Custom Painting Today! I wanted to write this satisfaction rating for the interior wall/ceiling and patio painting you and your workers performed and completed. I am very pleased with the painting job, my home now looks beautiful! You and your workers were on time every day and took into consideration that I needed to stay at the house while you painted. I will definitely recommend your painting experience and quality to friends. We were very pleased with JP and his painting services. I found him in the yellow pages and was a little nervous but he quickly eased our concerns. JP has a great way with colors and was very helpful in directing us in what colors to choose for the interior of our home. He and his team did a wonderful job painting and paying attention to details. We would definitely recommend him. We had Jeff and his helpers paint the outside of our house. I appreciated the very knowledgeable advice provided, but what I most appreciated was the thorough preparation provided for our older house which resulted in very good and long lasting paint coverage. Later we had Jeff and company do the inside of our house and were go glad for their patience and understanding as we wrestled with minor color changes. Their careful preparation and sometimes many coats of paint to assure rich coverage were also very much appreciated. I highly recommend this company.